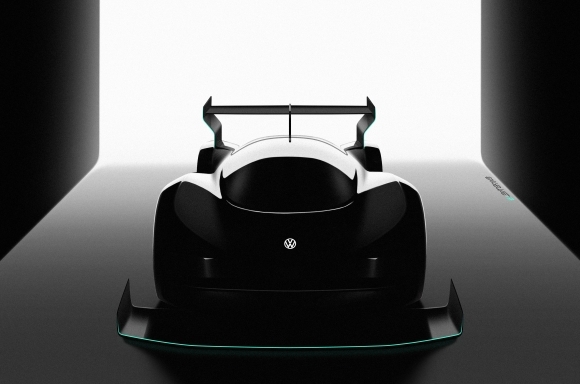 Volkswagen is developing an all-electric race car for the world’s most famous mountain race, the Pikes Peak International Hill Climb in Colorado, USA on 24 June 2018. The all-wheel-drive prototype’s goal is to set a new record for electric cars at the finish line, 14,000 feet above sea level. The new motorsport project is part of Volkswagen’s process of transforming itself into the leading producer of electric vehicles. By 2025, the Volkswagen brand will already offer 23 all-electric models. "The Pikes Peak hill climb is one of the world’s most renowned car races. It poses an enormous challenge and is therefore perfectlly suited to proving the capabilities of upcoming technologies," explains Dr Frank Welsch, Member of the Board responsible for Development. "Our electric race car will be equipped with innovative battery and drive technology. The extreme stress test posed by Pikes Peak will give us important feedback that will benefit future development, and it will showcase our products and their technologies." The Pikes Peak International Hill Climb—which insiders also call the ‘Race to the clouds’—has been run since 1916 in the Rocky Mountains near Colorado Springs. The race course is 12.4 miles long, and it climbs 4,700 feet to the summit at just over 14,000 feet above sea level. The current record in the class of electric prototypes is 8 minutes 57.118 seconds, set by Rhys Millen in 2016.